Detoxing is definitely a misunderstood practice! Often, people assume that detoxing means crash diets, flushing or fasting. However, this is not the case. A true definition of detoxing is ensuring that you eliminate foods from your diet that have common toxins or allergens. By speaking with a naturopathic doctor, they can help define a plan that will help you achieve your goals. 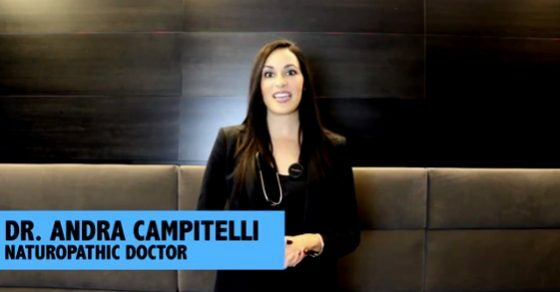 In the following video, Dr. Andra Campitelli discusses how detoxing is often misunderstood and that there are many ways detoxing can help your overall health if done properly. Hi, I'm Dr. Andra Campitelli Naturopathic Doctor and coordinator of the Nutrition and Naturopathy program at Physiomed. And today we're gonna talk detoxing. When most people hear that word, they get a little bit nervous. When you hear the word detox or cleanse, most people associate that with crash diets, starvation, flushing, fasting and obviously no one wants to sign up for that. So, the problem is that detox is often misunderstood. The purpose of a detox is to eliminate the foods from your diet and from your lifestyle that are common toxins or allergens that you're putting into your body and support those organs of elimination. You want to help them to do the job that they're already doing. In order to do that, you wanna make dietary changes, environmental changes, and add in some key supplements to really support those key organs such as your liver and your digestive health. The issue is finding the right root and the right program that's right for you. That's where your naturopathic doctor can come in. They'll guide you, provide you with a medically supervised detox to ensure you're getting right results that you're looking for. For more information, contact your Physiomed naturopath.